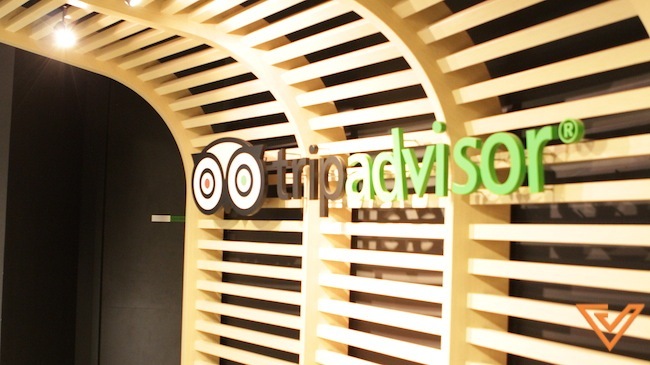 [Wow] TripAdvisor is now the world's most downloaded travel app! TripAdvisor, one of the world’s largest travel site, has just shared that it has reached the mobile milestone of 100 million downloads for its free app for iPhone and Android. According to data from Distimo, a global leader in business intelligence and app market data, TripAdvisor is now the most popular travel app based on total App Store downloads. The company studied and took into consideration the mobile app downloads in the travel sector for the period of January 1, 2012 to March 31, 2014, based on downloads and device installs. As we previously wrote, users are attracted to the mobile app because of the accessibility of the travel planning resource on-the-go, with more than 150 million user reviews on TripAdvisor. Travellers may use City Guides anywhere with no data connection required to go on self-guided walking tours, and they may also use Trip Journal to add photos or comments to capture the highlights of their trip. TripAdvisor launched the first iPhone and Android mobile apps in mid-2010, and the first native smartphone apps in 2013. In December last year, over 69 million travellers have downloaded various versions of TripAdvisor apps and their apps are downloaded at a rate of 28 times per minute. 4 months later, the company surpassed the 100 million mobile app download mark, making it one of the best travel planning tool around. The Vulcan TV team also went to visit the TripAdvisor Singapore office earlier last month and spoke to the Vice President of Display Advertising Sales, Cindy Tan. So if you are travelling again soon, be sure to download the app! The free TripAdvisor app is available in 20 languages and can be downloaded to major platforms including iOS, Android, iPad/Tablet, Nokia, and windows.